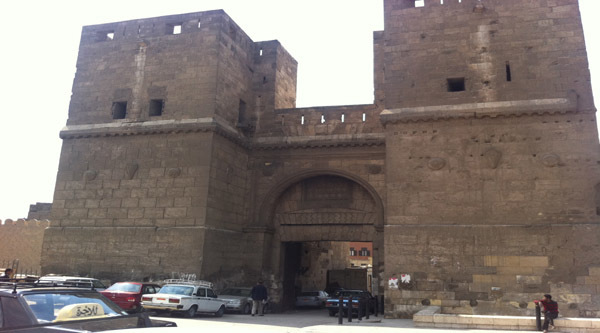 Bab al-Azab gate at Cairo citadel. 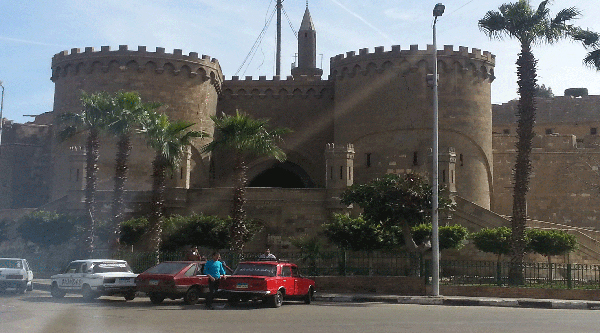 Mosque of Mohamed Ali in Cairo citadel. Courtyard inside the mosque of Mohammed Ali. Bab al-Qala, gate inside the Citadel. Alabaster Mosque of Mohammed Ali. 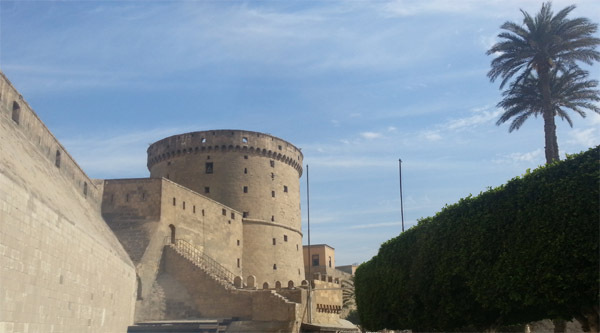 Salahedin Citadel is one of the world’s greatest medieval attractions which houses the distinguished mosque of Khedive Muhammad Ali as well as a number of museums and sites. Among them are the National Police Museum and the Royal Carriage Museum. 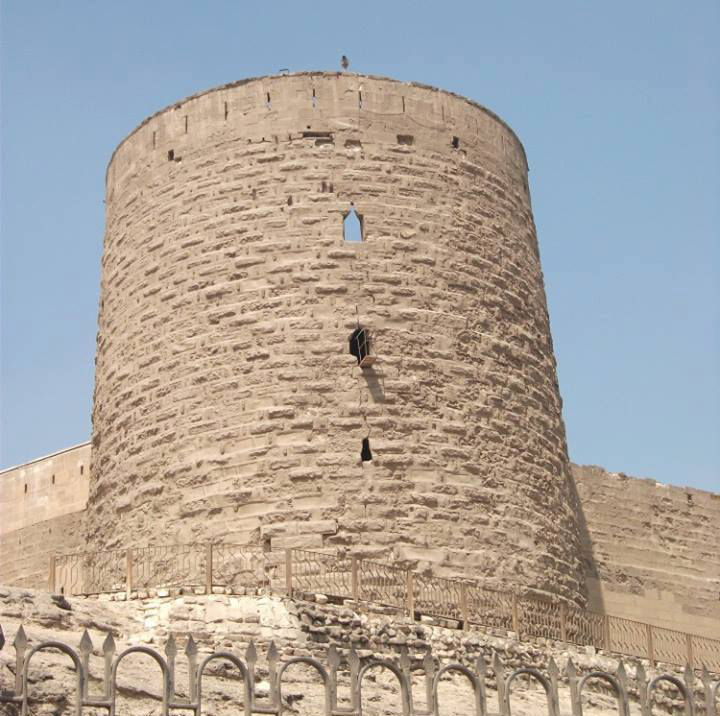 The citadel was built on a spur of the Mokattam Hills, and was once Cairo's seat of power for succeeding caliphs, sultans, ministers and pashas during the time of Muhammad Ali in the 19th century. 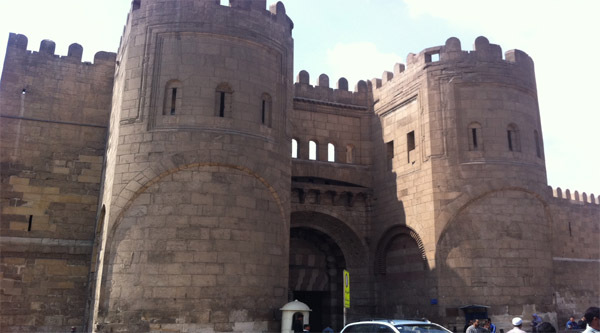 The citadel has three main areas: the main fortress and eastern walls, which were built by the great Salahedin El-Ayyoubi in 1176, the southern enclosure with 19th century walls and the lower enclosure extending down the western face of the hill, with its main gate opposite the Sultan Hassan Mosque. The Citadel or the Fortress on the Mountain (Qal‘at al-Jabal) in Cairo is one of the major works of military architecture of the middle ages. Situated on a spur that was artificially cut out of the Muqattam Hills, the Citadel dominates the city of Cairo and turns its back to the rocky hills and the desert behind. Founded by Salah al-Din al-Ayyubi (Saladin) in 1176 AD for almost seven centuries (1206-1874 AD), it was the seat of government for the Ayyubids (1171-1250 AD), Mamluks (1250-1516 AD), Ottomans (1516-1798 AD), and the Muhammad ‘Ali Family (1798-1952 AD). The Citadel has changed a great deal since it was first built. Subsequent Ayyubid and Mamluk patrons, especially al-Kamil Nasir al-Din (r. 1218-1238 AD), al-Zahir Baybars al-Bunduqdari (r. 1260-1276 AD), and al-Nasir Muhammad (r. 1293-1340 AD) divided it into northern and southern enclosures, rearranged its interior, endowed it with an impressive number of palaces and other structures, built a hippodrome for parades and polo games below its western side, and surrounded it with buildings, except on the east, where the rocky hills hindered construction. 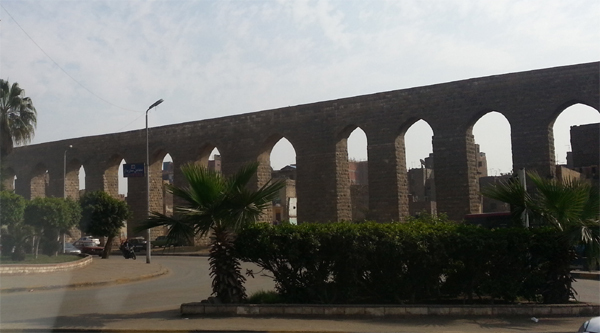 The later Mamluk sultans did not add much to it, but at the end of the 15th century they twice refurbished it. Under the Ottomans, it was divided into three semi-independent parts: the northern enclosure contained the barracks of the Janissaries (the main corps in the Ottoman army); the lower areas in the west became the residence of the al-‘Azab (the locally recruited troops); and the southern section of the southern enclosure was occupied by the pasha sent from Istanbul and his troops. Its interior was reorganized many times, though its surface area did not expand, but not much is known about these changes. The Citadel was radically reconfigured in the first half of the 19th century when Muhammad Ali Pasha razed the few standing structures that date to the Mamluk period, rebuilt most of its walls, changed its interior organization, added a monumental funerary mosque, four palaces, a hall of justice, an arsenal, a mint, a powder house, a huge terrace, numerous barracks for the troops, and established new entrance routes. It remained the residence of his descendants and their seat of government until 1874 AD, when Isma‘il Pasha (r. 1863-79 AD) moved to the newly built ‘Abdin Palace. During the British colonial occupation (1882-1946 AD), it became the headquarters of the British army until 1946 AD, when it was turned over to the Egyptian army. 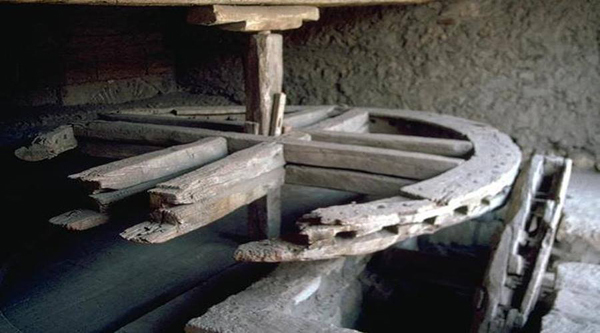 In subsequent years, it was slowly acquired, one section at a time, by the Supreme Council of Antiquities (SCA), with the last army personnel leaving the premises in the late 1980s. Its layout was reshaped again in recent years by the SCA to accommodate tourist movement around the remaining monuments. 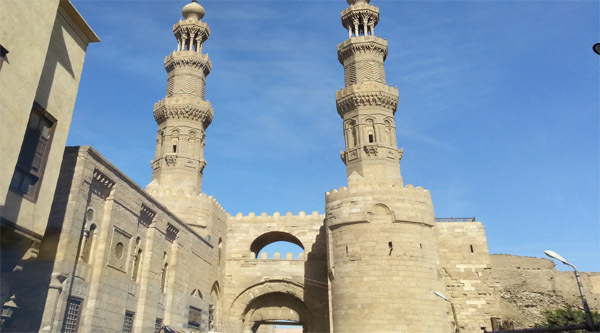 Today, the Citadel is the most visited Islamic monument in Egypt. Within the enclosure walls are several important buildings that are open to the public, including the famed Mosque of Muhammad Ali (1828-1848 AD), which dominates the skyline of Cairo; the Mosque of Sultan al-Nasir Muhammad (1318); the Mosque of Sulayman Pasha (1528 AD); Gawhara Palace and several museums.